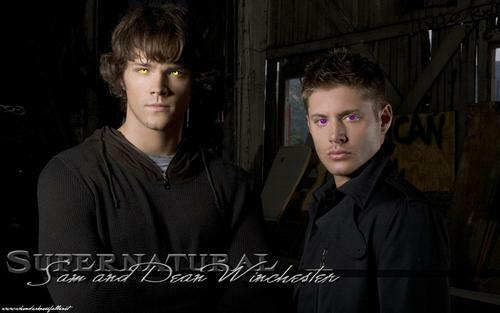 Demon Sam & Dean's eyes. From a story I was leitura sorry I only had paint to use!. HD Wallpaper and background images in the Wincest club tagged: sam dean supernatural dean winchester sam winchester wincest love jensen ackles icons jared padalecki.